Fantastic News! You Have Arrived On The Ultimate Cross Training Resource Center. Are you looking for a cross training resource for all of your needs? If so, then you’re in luck. This site will provide you with genuine ratings, reviews and in-depth information on the best cross training shoes, workouts and routines for both men and women. We’ll help you find the perfect solution to guide you along the way. Let me start by saying you get what you pay for when it comes to buying the best training shoes. Although there are many highly rated training shoes available to buy online, the majority of the time it comes down to preference. In saying that there are many 5 star rated products on the market today. Only you can decide if they’re the right fit for you. The ASICS GEL Fit shoes are among the most popular online, however the Nike selection are proving just as popular. In this section I will not cover these shoes in detail as we provide a comprehensive review of each of the best shoes for men and women here. 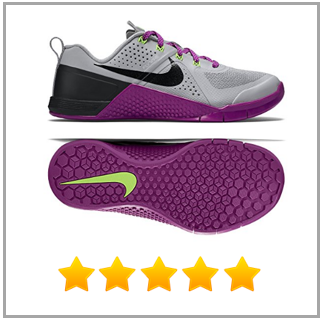 If you’re in the market to buy cross training shoes then I would suggest you visit our best cross training shoes review. If you want to find out what asics shoes are highly recommended see our top 5 list. The selection rated on our website are the best based on real customer reviews and feedback. The best shoes are lightweight training shoes with extra cushion on your heel. Looking for the most reliable, comfortable and cost efficient shoes that do not wear and tear easy, then this is it. 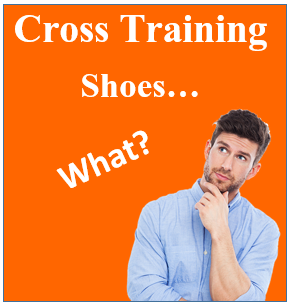 What are Cross Training Shoes? I have to admit, this is one of those questions we always get asked. People get confused with the difference between running shoes and cross trainers. Let me help you understand the difference. Cross trainers are necessary for anyone looking to do activities beyond the norm such as kick boxing, weights and even aerobics. You can use them for a multitude of activities including yoga and even sports such as basketball. If you’re moving a lot, in particular in a sideways motion then the cross trainers are for you. You plan on doing a lot of jogging or walking. These are what you typically call sneakers and have a heel to toe movement. Crosstrainers tend to have more cushion and support whereas running shoes suit for more ground impact. Running shoes tend to be much lighter in nature. All models vary and certainly have their good/bad points. Knowing the difference between running and cross training shoes is important in selecting the right model for your needs and will help you avoid any unnecessary injuries. I hope this has helped you to understand it more. One of the pure advantages of the cross fit era is having the luxury of being able to complete the exercise in your own time and in your own home. People live busy lives and carrying out quick intense workouts is the best way to save time, be productive and get fit in the mean time. Don’t let work or family be a barrier to you exercising. In this guide we’ll give you some tips on how you can quickly and easily do cross training at home. You can save your money on expensive gyms and do these workouts yourself within 30 minutes. These quick n dirty work outs will have you sweating like you never have before. As terrible as that sounds you’ll feel amazing afterwards. Burpees – Do one set up burpees with 10 reps.
Sit-ups – Do 1 set of situps with 30 reps.
Make sure you’re doing the reps in full and within 10 minutes. Do not stop to take a rest. Continue to go through the reps for as many times as you can. Keep setting yourself the goal of beating the number of reps you previously did. Each time you must try to beat this otherwise you’re not moving forward in your training. The key here is intensity and drink water in between sets. When training whether it be at home or in the gym having the right routine and footwear is essential. To add to this, if you’re doing anything that requires grip, then having the right gloves is also paramount to ensuring your sessions don’t result in sore palms. There are many gloves on the market that successfully solve this issue but there are also many duds, which can result in injury and your hands being torn to pieces. For this reason we set out to uncover the best crossfit gloves on the market and discovered 5 options we can comfortable suggest to our readers. We did uncover many selections that were cheap knock offs and could result in injury, however we decided not to include these in our comprehensive review. In the end, customer reviews of the products we chose really highlighted the essentials required when deciding what you need to purchase. Most importantly, make sure you select the size that fits you or this can impact your overall training routine. I’ve documented the most important things to consider when buying the best cross fit shoes for men or women. Price: For many this is an important factor, however it shouldn’t be at a sacrifice of quality. It’s fair to say many people are on a budget when they’re on the look out for the best cross fit shoes in 2017. You should be cautious of buying cheap alternatives as in the long run they simply won’t last. This will be a waste of time and money for you, bringing you back to square one. The great thing is on this website we review many different shoe prices that can meet anyone’s budget requirements. As mentioned previously, the Asics simply meet the quality standard and they don’t break the bank either. This is one of the many reasons we recommend them to our readers. Value for money, yet not impacting the quality and standard you deserve. Types: Many people have different requirements in what they need and cross trainingshoes are different to most. Every product reviewed on this site comes highly recommended and will have more than enough positive reviews to help you understand the type that fits your personal needs. You can trust that we only present the best in class products to our valued visitors. Durability: An essential component for any shoe is that they’re long lasting and can hold the test of time. Too often we see people who sacrifice on quality and end up with a sub standard shoe. Don’t let this happen to you. Educate yourself on what shoes are the most recommended and last the test of time. Comfort: As you’ll be exercising using your cross fit shoes, comfort is another essential factor you should consider. It can be difficult enough to get out and start exercising without having the discomfort that comes with cheap, below par crossfitshoes. Buying online and want to understand how you can figure out how to determine the comfort? Easy. Read the reviews available online. On Amazon we recommend only the top rated sellers and products, simply because they provide quality products and customer service. Customer Service: Although it doesn’t impact the quality of your purchase it’s important to consider the customer service that comes with your new purchase. Does the merchant offer a refund if the product is not as described? Do they provide you with an exchange if unsuitable? These are points to factor in when buying your shoes. For this reason we recommend Amazon and their sellers as they’re a reviewed based company, meaning if they’re not delivering on service they won’t get the reviews they need to stay in business. The star rating is a fantastic indication of the service you’re likely to receive on their site. Size: There is simply nothing worse than getting stuck with a pair of trainers/shoes that are far too small for you. Or worse yet, too big. Make sure you understand the measurements whether you’re in the US, UK, Europe or Asia it’s something to observe before buying. Most companies will allow you to exchange your product if the size isn’t as expected, however it’s an unnecessary inconvenience I’m sure you don’t want to go through. Again, read the reviews and decide whether you should be going for your typically size or get a slightly smaller/larger size. Speed/Cost of Delivery: How soon do you need your shoes? Does the seller offer free shipping? These are additional points to consider before you buy. With Amazon you can ensure you’re in good hands in this respect. Many items have next day delivery and better yet, they provide free shipping. © crosstraininglife.com All rights reserved.